Posted by Michael Scott // May 3, 2016 // 2016, Business and Free Enterprise, Currency, Gold Ownership. have been used for currency and wealth accumulation, starting with the first coin dating back to around 550 BC. 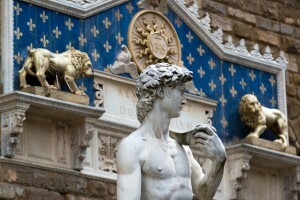 Italy’s Florence has a storied history concerning money and coinage which spans thousands of years, a trend which started in 1252 with the creation of the Florentine florin (3.5 grams and 54 grains of fine gold), this being the first European gold coin minted in sufficient quantities for European commerce since the 7th Century. 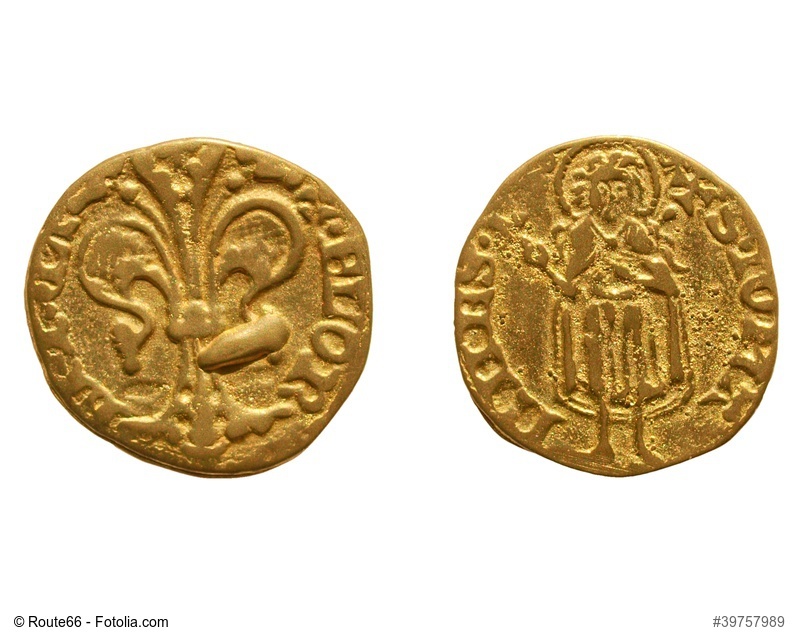 With its name of fleur-de-lys deriving from the flowering iris – the badge of Florence – the florin was destined to make a mark on the international currency market, since many Florentine banks had European branches. Its staying power as a dominant currency of commerce was tied to the outgrowth of the Florentine economy and its major stakeholders, which included money-changers, silk manufacturers, furriers and guilds. The weight of the original 1252 florin equaled the value of one lira in the local Florentine money. Interestingly, while the florin’s gold content stayed the same, the lira experienced such inflation that by 1500, the value of one florin was seven lira. The florin did experience competition from European rivals in terms of its economic presence. Although their coins never attained the success of the florin, the Italian city of Genoa – its most prominent competitor – also began gold coinage in 1252. The florin’s ascendancy led to wide acceptance across Europe, serving as an engine for international commerce throughout the continent. Its role at the time in fostering global economic growth held great significance; a level of status that no doubt led to its mention in Dante’s Divine Comedy, a perennial classic that was completed in 1320. In recognition of its growing prominence, the British government released a 2-shilling version of the florin in 1849, valued at 1/10th of a Pound Sterling. This coin remained in circulation in the British currency system until the country’s foray into decimalization in 1971. Additionally, the Dutch florin – known as the guilder – endured until The Netherland’s currency disappeared in 2002 with the advent the Euro. 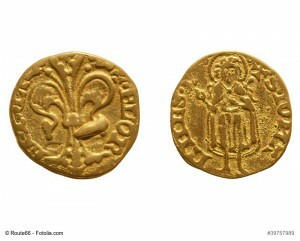 This signaled the end of the florin’s long and illustrious reign as the world’s practical ‘gold standard’ of currency. Nevertheless, the florin’s endurance throughout the ages is a symbolic reminder of gold’s continuing global appeal and its impact on world economies. At Anthem Vault, we have long championed the spirit and staying-power of gold, ensuing from legacy currencies like the florin. 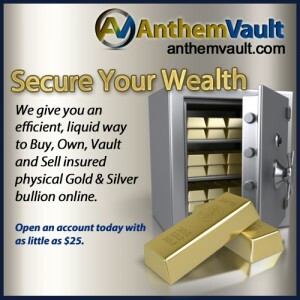 Over time, gold has continually demonstrated its dominance as a transactional asset that protects and enhances wealth. This track record underscores our commitment to making gold an easy-to-buy, safe, secure and affordable element of your savings, investment and wealth-protection strategy for you, your family and for future generations.